FFA - Update on Enrique Marquez, the man who purchased weapons for San Bernardino terrorists. Enrique Marquez Update on Enrique Marquez, the man who purchased weapons for San Bernardino terrorists. Florida Family Association sent out email alerts on December 18 and 20, 2015 that reported Bail hearing for San Bernardino weapons purchaser is set for Monday, December 21, 2015. The email alerts encouraged subscribers to send emails urging the magistrate judge to "put public safety first and show zero tolerance for any involvement in terrorism by denying bail for Enrique Marquez." The email subscribers sent to the court also stated in part: "Most law enforcement professionals would conclude that the combination of Marquez’s violent fanaticism and suicidal tendencies pose a serious public safety risk." Florida Family Association reported that we would closely watch this case. The following events have taken place regarding this case. 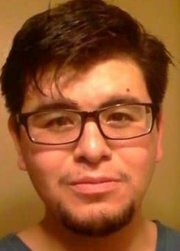 • Enrique Marquez has ties to jihadist other than the two people he supplied weapons to for the San Bernardino attack. • The federal trial has been moved several times. The first trial date was scheduled for February 23, 2016. The second trial date was scheduled for July 19, 2016. The current trial date is scheduled for March 21, 2017. The friend who bought the assault weapons used in the San Bernardino terrorist attack also had ties other aspiring jihadists, federal prosecutors say. Enrique Marquez Jr. is accused of having links with a group of California militants who were arrested in 2012 as they tried to fly to Afghanistan to join al-Qaida. It is the first time that the 24-year-old, who allegedly supplied the rifles used to kill 14 people in the December massacre, has been linked to other terrorist groups. The allegations were made in a lawsuit, filed by the government on Tuesday, which is aimed at seizing a life insurance payout to Farook's mother. 'Marquez had ties to a group of jihadists ('California jihadists') who were arrested in 2012 when they attempted to travel to Afghanistan to join' al Qaeda, the suit said. The California jihadists may be a reference to four men from the area who were arrested that same year and convicted of plotting to join the Taliban or al Qaeda to kill American troops. Marquez is due to go on trial next month to face charges of supplying guns used in the San Bernardino massacre on December 2. Prosecutors say he bought the assault weapons for his childhood friend Syed Rizwan Farook and Farook's wife, Tashfeen Malik three years ago, which they then used to murder 14 people before dying in a gunfight with police. Marquez is also accused of plotting an earlier attack with Farook back in 2011 or 2012 at a California college. The 24-year-old punk rock fan, who converted to Islam in 2007, plotted to use pipe bombs and explosives with Farook on a gridlocked Los Angeles highway and at Riverside Community College in 2011 in a bid to create mass casualties. The former security guard, who told the FBI he was radicalized by hate preacher Anwar al-Awlaki, allegedly made the explosives for another attack in 2012 and even went to a firing range to practice. But Marquez, who pleaded not guilty to conspiring to provide material support to terrorists, backed out of the plot after the four Californians were arrested on terrorism charges in late 2012, the FBI said in court documents. IEDs found in the home shared by Farook and Malik after the attack in San Bernardino were filled with the 'smokeless powder' Marquez purchased in 2012, federal prosecutors said. Officials also claimed Marquez legally bought two AR-15s three years ago for Farook as a favor because the US-born health inspector was worried that he would not pass a background check had he tried to buy the weapons himself. The pair, who met in 2004, allegedly agreed Marquez should buy the high-powered weapons 'because he was Caucasian, while Farook looked Middle Eastern'. According to the criminal complaint, Farook started showing and teaching Marquez about radical Islamic ideology, which included anger towards Muslims in the U.S. military, after 2007. They also discussed the extremists views of the now-deceased imam al-Awlaki. An immigration official stopped Homeland Security agents from arresting the alleged gun supplier of the San Bernardino terrorists the day after the attack and then lied about it to department investigators. Irene Martin prevented armed officers from detaining Enrique Marquez who was scheduled to be interviewed alongside his Russian wife Mariya Chernyk, a government report has stated. He was being questioned after his friends Syed Rizwan Farook and his wife, Tashfeen Malik, killed 14 people at an office Christmas party. When the FBI learned Marquez had allegedly supplied the guns, they sent a team from the Homeland Security Investigations (HSI) unit to the U.S. Citizenship and Immigration Services (USCIS) office where they were being questioned. But Martin allegedly refused to allow the officers to get to Marquez and delayed them when they were given permission. She since been reassigned to a different office, but she is set to avoid punishment, even though Marquez has since been charged with a number of terrorism-related offenses linked to the atrocity carried out by his friends. A report into the aftermath of the horrific attack slammed the field officer for getting in the way of the investigation. Martin wasn't named, but she has been identified as the field officer. She is also listed in the position on the agency's website. The damning report reads: 'We concluded that the USCIS Field Office Director at the San Bernardino office improperly delayed HSI agents from conducting a lawful and routine law enforcement action, but when the Field Office Director elevated the situation to her supervisors, the situation was corrected. 'We found that the contract security personnel improperly prevented HSI personnel from entering the building. Finally, we found that there was no attempt by ICE leadership or supervisory personnel within HSI to attempt to retaliate against the individuals who notified HSGAC of the situation. Feds file suit to seize San Bernardino shooter's life insurance. See the report at CBS news. Florida Family Association will continue to monitor this case and related media.